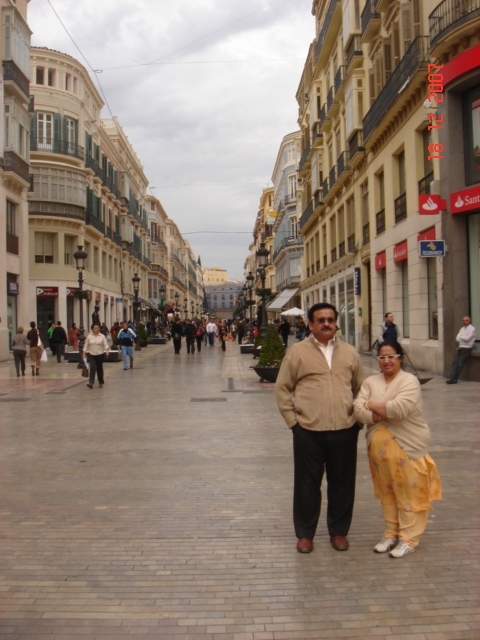 Malaga ,the Southernmost big city of Europe was founded by the Phoenicians from Tyre Carthage 2800 years ago making it one of the oldest cities in the world. It was subsequently ruled, in succession , by the Romans, Arabs and finally by the Spaniards . 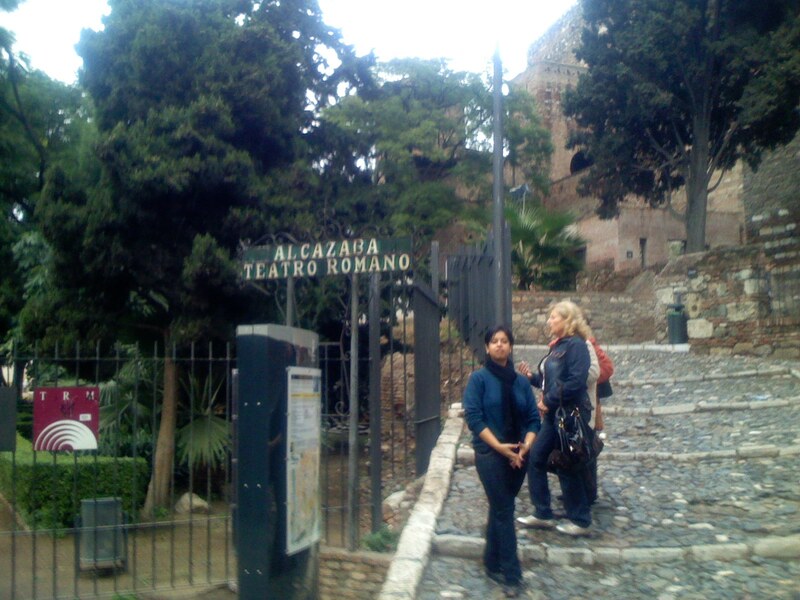 The remains of the castles,forts, stadiums and other buildings built by the rulers from the Phoenician, Roman, Arabic and Spanish eras display the long and rich history of Malaga. 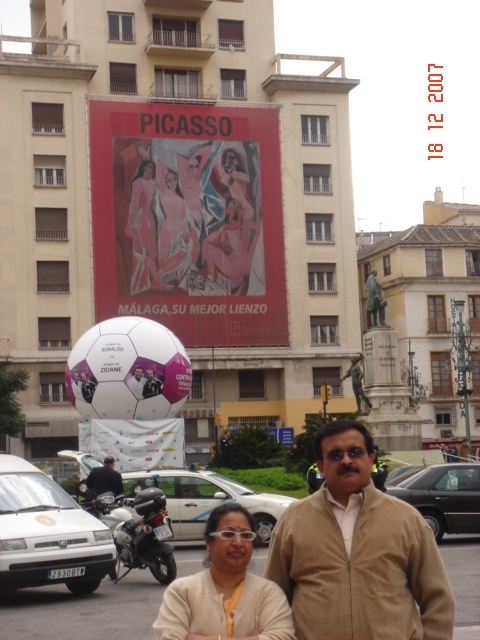 In addition the famous artist painter Pablo Picasso was also born and lived in Malaga. Both these facts have made Malaga a major contender for the title of "2016 European Capital of Culture".Spain is one of the top destinations for travellers and in Malaga there are many interesting tourist places. 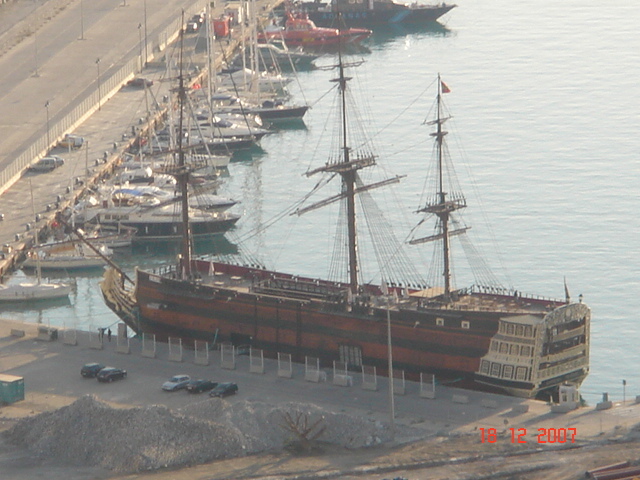 This is a Phoenician ship which was discovered in almost perfect condition under the water and was subsequently brought to the surface and refurbished to make it appear as close as possible to what would have been the original ships plying between Malaga and Tyre.I think they are called Galleys which were independent of winds and were powered by rowing galley slaves. The Alcazaba is a Moorish fort which was built in the mid-11th century.This is the best-preserved citadel in Spain. Adjacent to the entrance of the Alcazaba are the ruins of a Roman Amphitheatre built probably in the 2nd century BC. 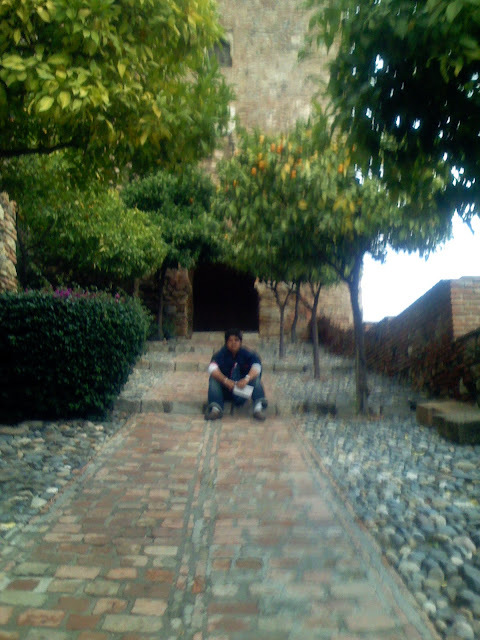 Some of the Roman era materials were used in the Moorish construction of the Alcazaba.In 1487, Ferdinand and Isabella captured the city from the Moors after a long siege, and riased their flag inside the inner walls. The whole complex is built upon a hill in Malaga and overlooks the port and is enclosed by 2 walls. 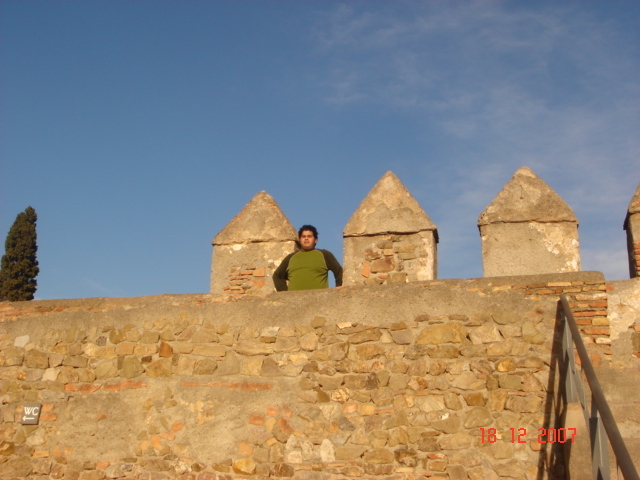 The first wall encloses the entire hill and the second inner one is dotted with defensive towers. 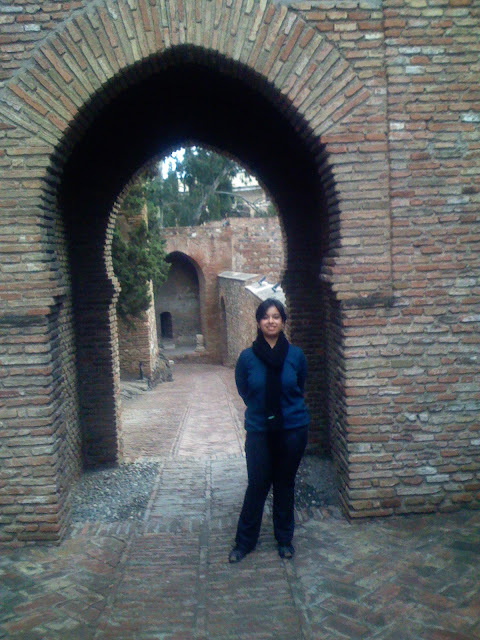 The entrance into the inner wall is through gates as the one shown in the picture and there is considerable use of Multifoil Arches which was a popular element of Moorish architecture seen in the Andulasian area. As you wander inside the Alcazab you cannot help imagining the life of the people living in Malaga in the 11th Century AD with attackers constantly trying to break in and capture the place ,which the Spaniards in any did in the 14th Century. 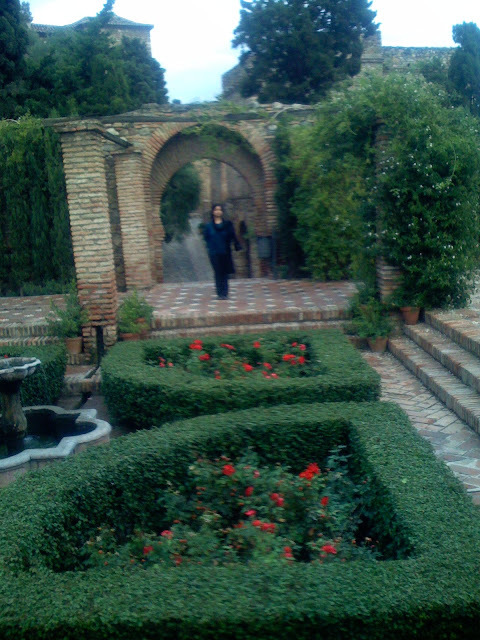 There are several gardens,orchards and fountains inside the Alcazab along the pathways and they show that the citadel was built with a lot of planning where importance was given to all aspects of life. In the middle of the inner wall is a museum which besides artefacts recovered during excavations also houses the armoury where one can see the various kinds of weapons, artillery, ammunition used in those times and it is quite amazing that even in the 11th and 12th century the weapons in Malaga were quite advanced. 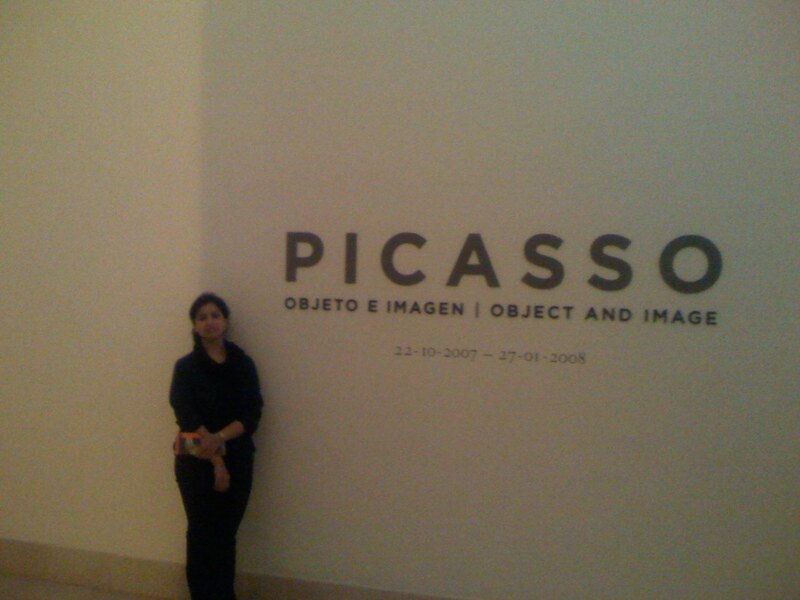 Pablo Picasso the famous artist painter was also born 1881 in Malaga and there is an entire museum devoted to him. His contribution to the development of painting, printmaking, sculpture and ceramics is well known. The Renaissance palace of the count of Bellavista was converted into Picasso museum in honour of the famous reknowned artist. Many of his paintings can be seen on facades of buildings in Malaga. Besides being a painter Pablo Picasso also wrote more than 300 poems. 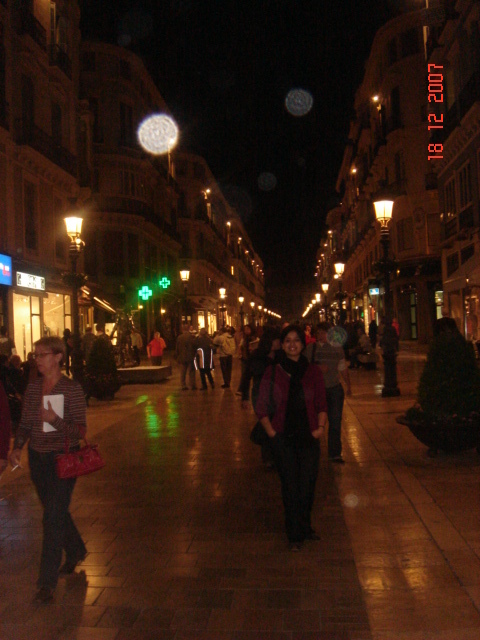 Besides being a celebrity Pablo Picasso and his works of art are the pride of Malaga and its residents. The buildings in Malaga are influenced by a mix of Moorish, Arab, Roman styles of architecture built on both sides of narrow streets. In fact so narrow that cars cannot enter them and the motor-cycle is the popular vehicle by choice. 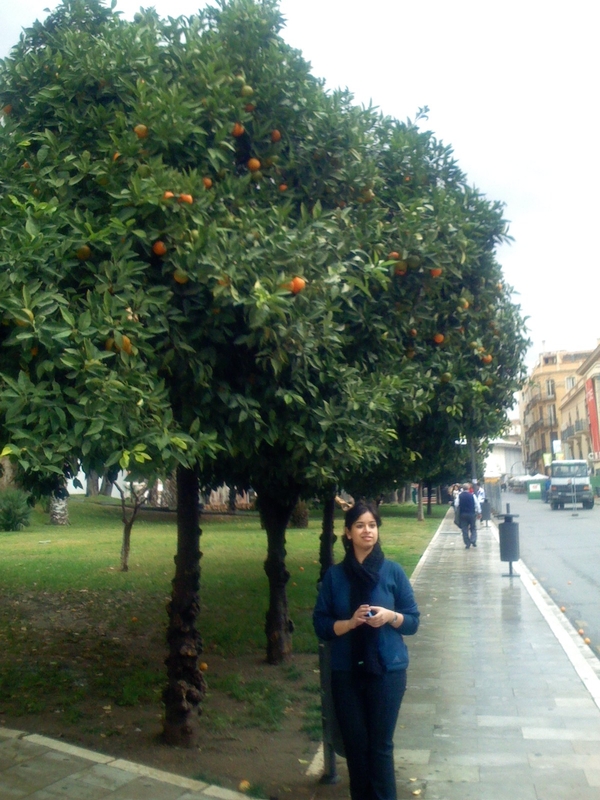 A walk through the streets in Malaga, lined with gardens of fruit laden trees is an experience by itself and this feature is unique to Malaga . Or you can drop in for lunch at restaurants which serve excellent sea food, various kinds of fish,lobsters,sardines caught freshly from the nearby Mediterranean sea -in fact the best you can ever get-along with local cuisine of which Paella is very well known the world over. It is a saffron seasoned rice preparation cooked along with chicken or seafood or mutton or vegetables depending on ones choice and preference. The food can be complemented with the best of the Spanish wines from Malaga's several vineyards. Several cafes open up in the evenings in Malaga and it is an excellent experience to sit in a cafe and see the life go by. The waiters are courteous and attentive and remain very busy throughout the evening.There are HD TVs installed everywhere but the programs were in Spanish. 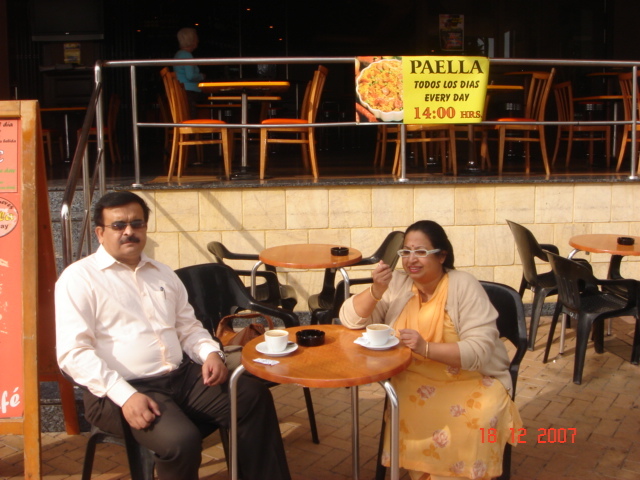 The coffee,tea,cocktails are all very good though the food could be better and the servings are huge. As the evening progresses it becomes cold to be sitting outside unless one is appropriately dressed. 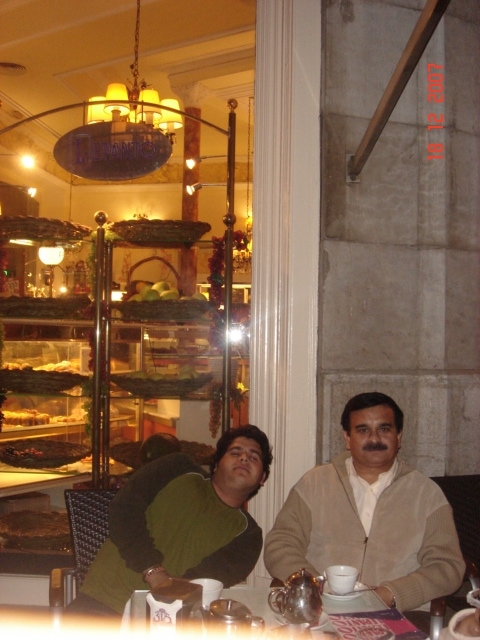 Some of the cafes have live music also and it is indeed enjoyable sitting in the open under the twinkling stars. 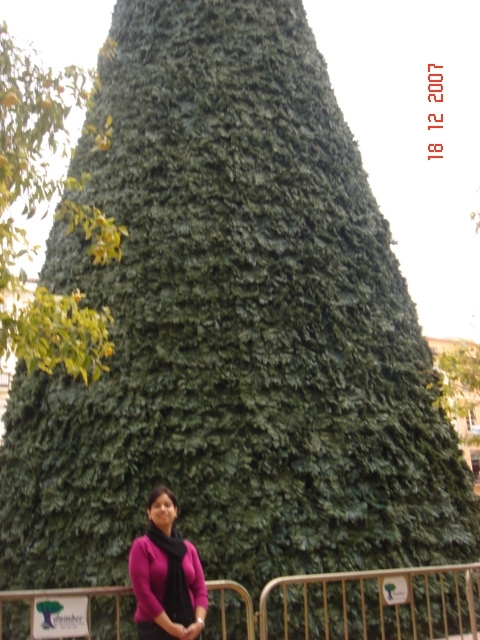 A Christmas tree at the main square in Malaga, a week before Christmas. Nice review of lesser known places.